To evaluate accumulation patterns of deposits in retinal layers of type B Niemann–Pick patients by multimodal imaging. Seven patients with type B Niemann–Pick disease were included in this study. All participants underwent a complete ophthalmologic evaluation, high-resolution digital colour imaging, spectral-domain optical coherence tomography, blue light fundus autofluorescence and optical coherence tomography angiography (OCTA). We demonstrated different accumulation patterns in the retinal ganglion cell layer, the retinal nerve fibre layer and the subfoveolar region by multimodal imaging. 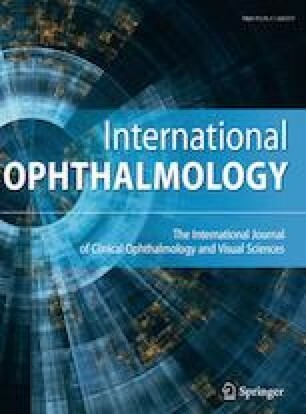 Local retinal capillary nonflow areas in the superficial plexus, increased vascular tortuosity and deformed foveal avascular areas were shown in OCTA scans. Multimodal imaging including OCTA is a useful technique for the identification of different types of accumulation patterns, diagnosis and follow-up of type B Niemann–Pick patients. None of the authors has any financial or conflicting interests to disclose. All procedures performed in studies involving human participants were in accordance with the ethical standards of the institutional and/or national research committee and the 1964 Declaration of Helsinki and its later amendments or comparable ethical standards.